I am a lifelong Manhattanite, and for most of my years, I called the Upper East Side home. After the kids had left, ready for a change, my husband and I packed up our belongings, said goodbye to our neighbors, and jumped in a cab across the park. Though our new apartment was less than a mile away; the Upper West Side felt like a whole new world. Arty, laid back and understated, I fell in love with its unique character and charm. Pre-war buildings, tree lined streets and of course Central Park. Whether you are on the UWS visiting the Museum of Natural History, shopping at iconic Zabar's (I go there regularly to stock up on Eschire French butter) or catching a show at Lincoln Center, you have to eat. Join me on an eating tour of my favorite spots on the Upper West Side. Barney Greengrass: Some may argue that Russ and Daughters or Sables serves the best appetizing in NY, but excuse my “chutzpah“—they’re wrong. Breakfast at Barney Greengrass, the legendary appetizing store serving NYers for over 100 years, is a quintessential New York experience. Picture old school style all the way. Formica tables, white counters along with tight quarters only add to the charm of the place. All the classics that one would expect are on the menu – the sturgeon sandwich, lox scrambled eggs with onions or bagels with lox and cream cheese. It’s the quality of the ingredients that make this place the perfect spot to grab a nosh. If you don't have time to sit and schmooze, take out is available. Other family favorites for smoked delicacies are Zabar's and Murray's Sturgeon Shop. Red Farm: Dim sum and then some— this is some of the best, most creative Chinese in the city in my book. Dumplings reign at RedFarm, you could make a meal out of just the soup dumplings, shrimp and snow pea leaf, five flavor chicken and the Pac-Man, an homage to the video game and oh so fun. You must have a Katz’s pastrami egg roll on the table, a riff on the famous deli sandwich served with hot mustard on the side. Go with a friend or two-- the menu is designed to share. My must orders include the crunchy vegetable fried rice, snow peas leaves and the three-chili chicken. You are bound to see owner Ed Schoenfeld making the rounds at lunch or dinner, a true NY legend in the restaurant world. Red Farm is just steps from the Beacon Theater, perfect before a show. Mama’s Too: Want amazing pizza? I have two words: Mama’s Too! Don’t just trust me - Times critic Pete Wells gives a thumbs up to this eatery also! Wells describes the pizza as “The pepperoni slices are small and concave, like contact lenses made of meat. Crunchy around the rims, these little cups are half-filled with spicy red oil..” According to Wells, order the pepperoni. Personally, I like the House Pie. 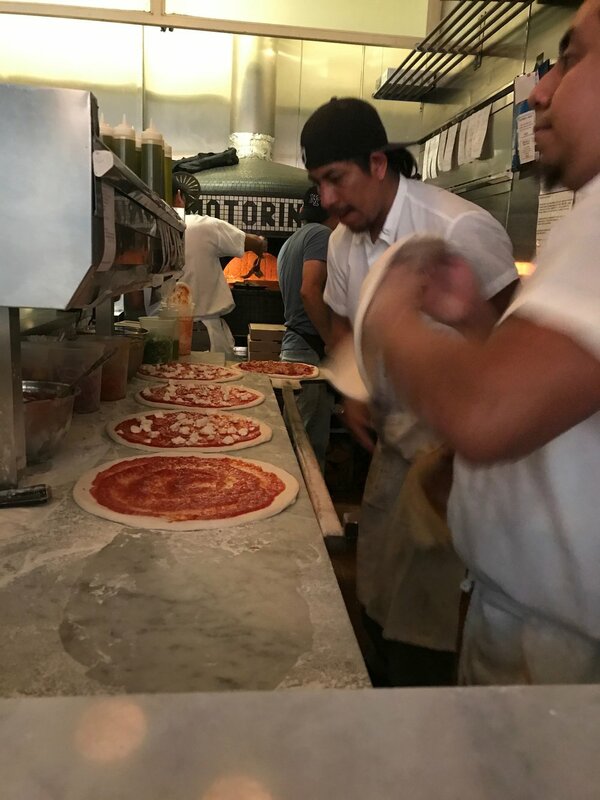 The pizza is similar to Prince Street - the crust is crispy, (Detroit style) the ingredients fresh….it is the best pizza on the Upper West Side - hands down! Mediterranean: Elea’s tiny restaurant has the certain sophistication, in the food, and décor that I admire. Located in the heart of the UWS, Elea serves up a deceptively simple Greek fare. Get the zucchini chips and the humus to start. Their salads are fresh and delish. Israeli Druze chef Gazala Halabi, just reopened Gazala’s. There is an amazing variety of Middle Eastern options including the roasted eggplant, falafel and the shawarma. The chicken kabob is a must order too. Motorino: Pizza lovers popped champagne at the news that Motorino was opening on Columbus Ave. To me, this is the best pizza on the UWS, and some of the best in the city. Be warned; there are only a few tables, so you will most likely have to wait at peak times. 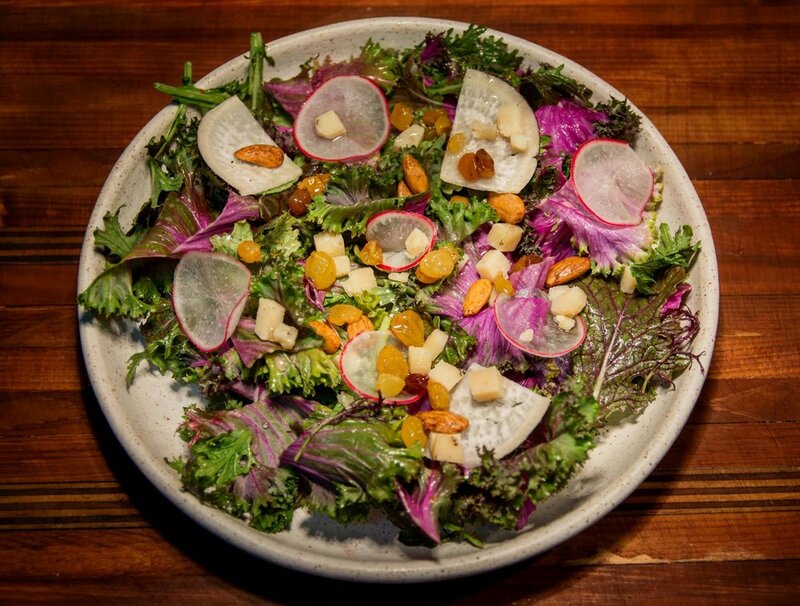 Start with the excellent fennel salad or Caesar kale before moving on to one or two pies. Devoted fans of the LES or Brooklyn outposts may debate which pie is the best—my vote goes to the classic margarita, brussel sprout or if you’re a meat lover the soppressata piccante. Have room? The tiramisu is out of this world. Jin Ramen: On a cold night, Jin Ramen is my go to. The menu offers an assortment of Ramen including a vegetarian option. The noodles are delicious, and the wait staff is friendly. It’s a small place so go early. Sushi: Our family goes to Sushi of Gari once a week. Yes, the menu is pricey, but Sushi of Gari is worth it. 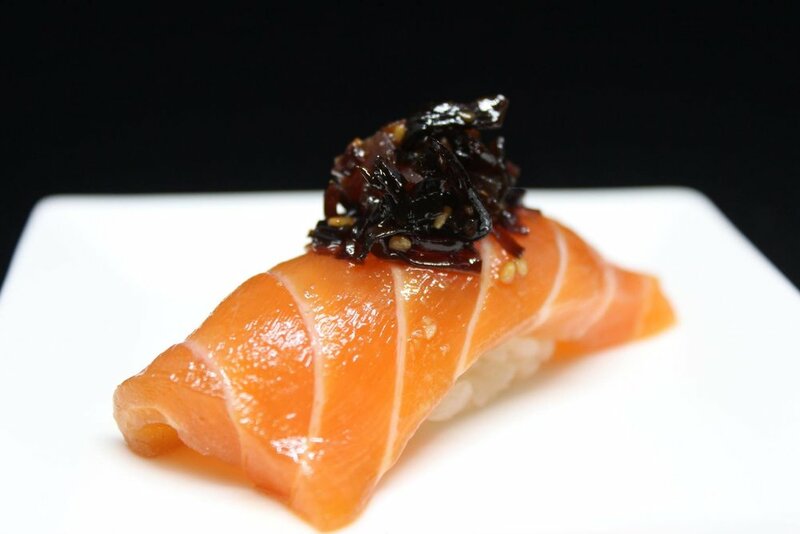 Order Gari’s Omakase, with surprising combinations of flavors, sauces and the freshest fish. Or order sushi a la carte and make sure to get the red snapper with salad, salmon with sautéed tomatoes, and tuna with tofu. Throw in a spicy scallop handroll and excellent crab shumai to make the meal complete. For no frills, cheap and super-fresh sushi head to Yasaka on 72nd street. The restaurant is dark and unimpressive - but the sushi will impress even the biggest snob. 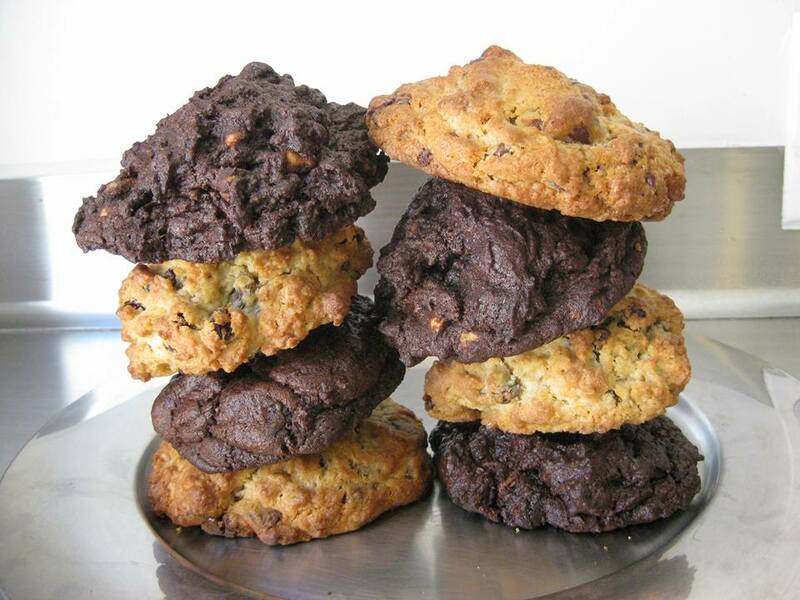 Bakeries: Does Levain, have the best cookie in the city? To me, and its legions of fans the answer is yes, this is the ultimate cookie. The lines are long, and the wait can be challenging, but it’s all worth it. Levain has only four flavors—dark chocolate chocolate chip, dark chocolate peanut butter chip, oatmeal raisin and chocolate chip walnut—all massive, dense, and gooey. There’s a brand new, bigger location on Amsterdam so hopefully, one won’t have to wait that long for perfection. If you are looking for Babka or Hamentashen, Breads Bakery is the place to go. Maison Kayser is dangerous! I can eat the white chocolate brioche in one seating. Eric Kayser is known to be one of the best bakers in Paris. I go here for a taste of Paris when it’s a bleak NY day--the artisanal loaves of bread and pastries are magical. Italian Cuisine: Every time I dine at Sirenetta, which is often, I leave happy. The ambiance is rustic, simple and casual. The salads are incredible, especially the kale, one of the best I’ve had. Then move on to delicious pasta or pizzas, I like the mushroom, but hear the fennel sausage is a popular choice. Sirenetta means “Little Mermaid, “and it’s from the folks of the uber, popular seafood spot, The Mermaid Inn, right next door. Gennaro’s is another local favorite. Everything on the menu is good. Bring cash: they don't take credit cards.